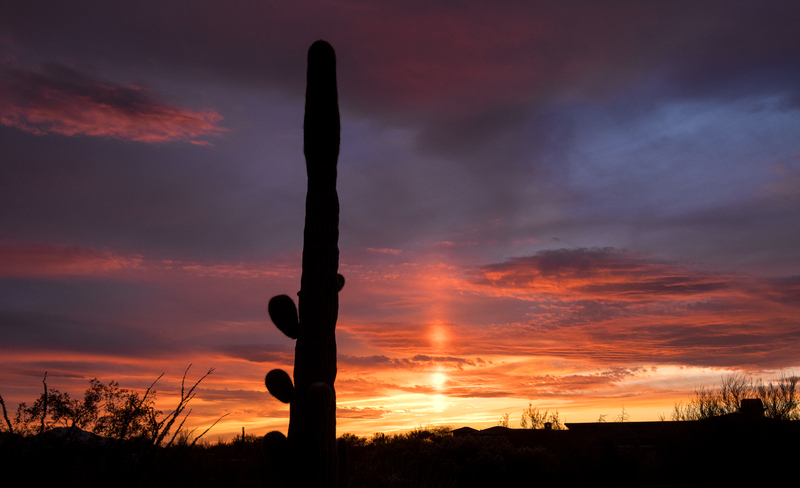 A solar pillar in the Tucson AZ Sunset. The image was captured with a Nikon D500 camera and a Nikon 16-35 mm VR lens @ 27 mm and iso 800 on March 16th, 2018. Photo captured in the Tucson AZ foothills in my backyard.